Drivers searching for explosive performance should definitely consider a vehicle from the 2016 Mercedes-Benz CLA family. 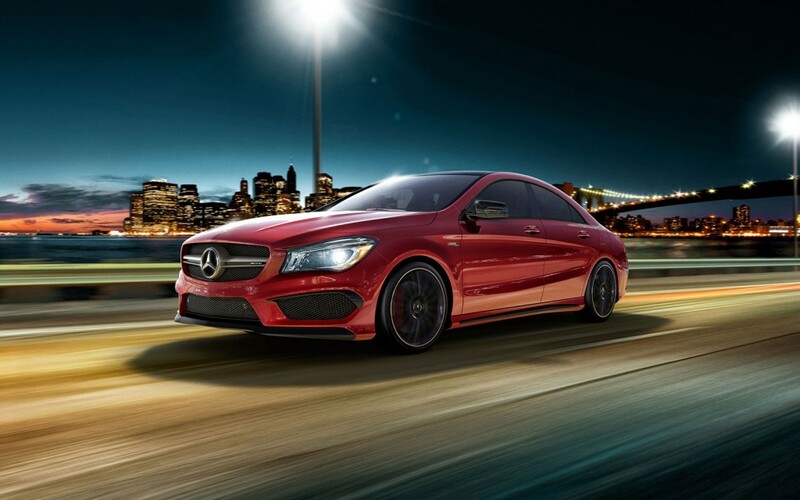 The CLA coupes deliver impressive power, thanks to advanced performance features not typically seen on other models. Continue reading for further details on what you can expect from the 2016 Mercedes-Benz CLA performance-wise. The 2016 Mercedes Benz CLA is available in three trim options, each offering incredible power and performance. The base CLA 250 coupe is equipped with a 2.0L turbocharged four-cylinder engine that gives off 208 hp and 258 Ib-ft of torque. With the next-level trim, the CLA 250 4MATIC®® coupe, drivers can expect the same engine and power provided by the entry-level CLA 250. Powered by a handcrafted AMG® 2.0L turbocharged four-cylinder engine, the top-of-the-line AMG® CLA 45 coupe is capable of an astounding 375 hp and 350 Ib-ft of torque. The AMG® CLA 45 coupe is the ideal choice for any driver who would like a thrilling ride every time. 7-Speed DCT Transmission: Each model is paired with a 7-speed DCT transmission that gives drivers the chance to enjoy the benefits of a manual and automatic transmission. It’s furnished with the DYNAMIC SELECT® switch, which features modes that cater to different driving moods. 4MATIC®® All-Wheel Drive: The available 4MATIC® all-wheel drive system was designed to take the CLA to a higher level of agility and confidence in every season. Quick on the uptake, this system constantly scans for signs of wheel-slip, and can automatically send up to 50 percent of the engine’s power output to the rear wheels. We could go on and on about why the 2016 Mercedes-Benz CLA is such a powerful machine, but we’d rather you find out for yourself through a test-drive. Visit RBM of Alpharetta today, conveniently located at 345 McFarland Parkway in Alpharetta, and we’ll gladly put you behind its wheel. We’re open Monday through Saturday!